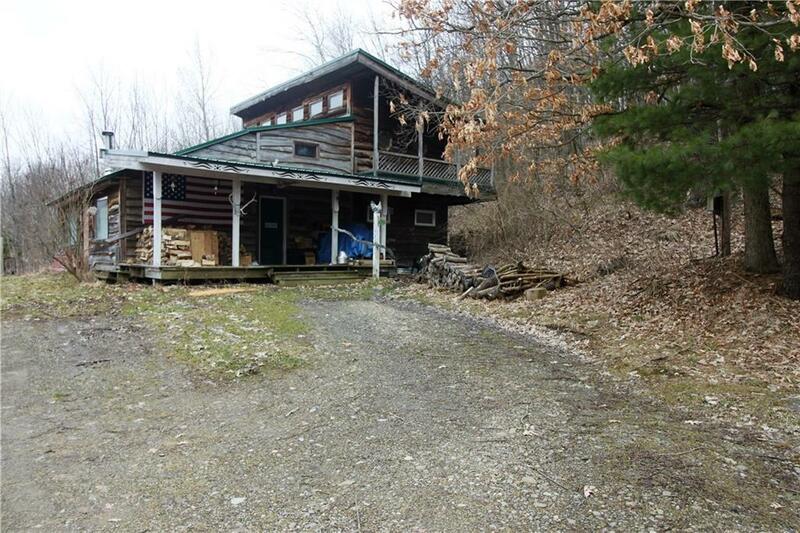 Cabin style home with high ceilings in the living room and a loft overlooking. The home contains two bedrooms and two baths. The master bedroom has an attached bath, sloping ceilings, a lot of windows, and a private deck overlooking the wooded lot. The great room (living room, dining room, entry) has terracotta style tile floors, a wood burning wood stove, and tons of cabin details and charm. The eat-in kitchen is a large space with plenty of cabinets and counterspace. The home also has a covered side porch. There is a large barn/workshop that is currently being used as an art studio and a shop. This space can be used for whatever you can imagine. There are four rooms down and a large upstairs space. The property also has an two story shed. All this sits on two wooded acres. Call today!